Description Boby´s girlfriend have been abducted by the Witch! Rescue her in this fast paced love story! Features 3 worlds with 18 levels. 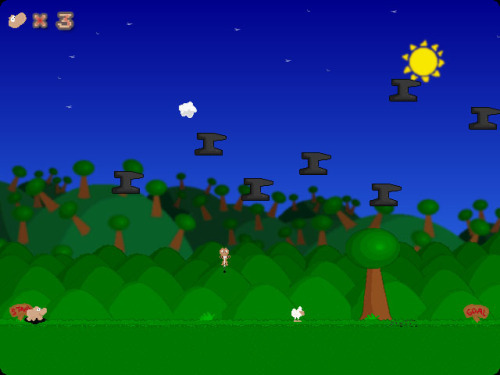 Controls Move Boby with arrow keys, jump with up arrow!